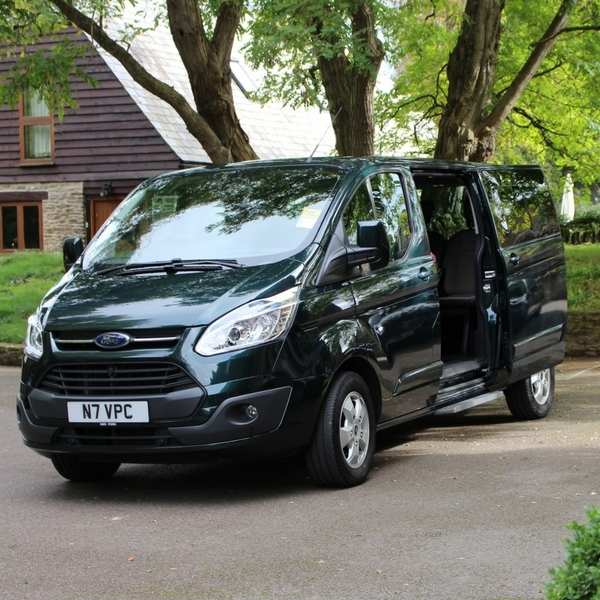 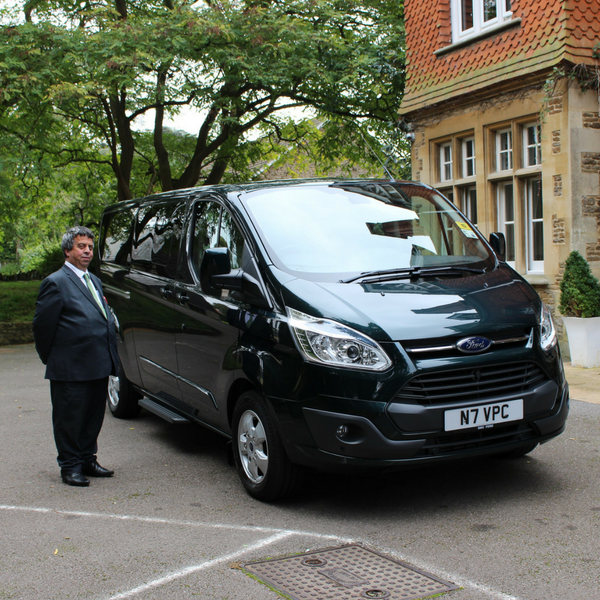 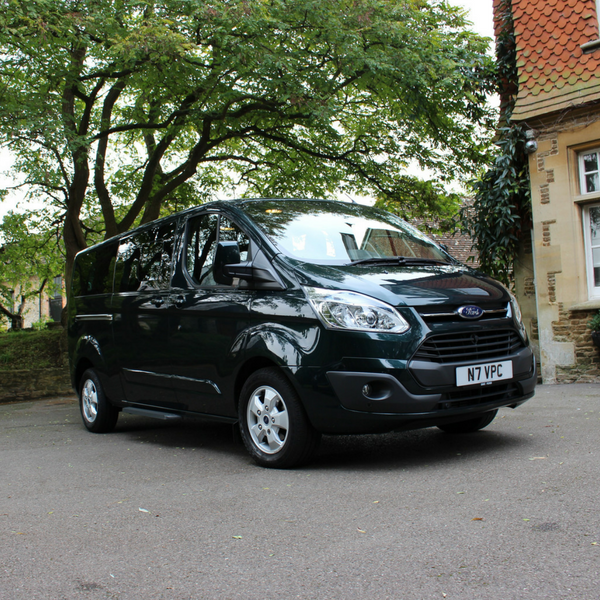 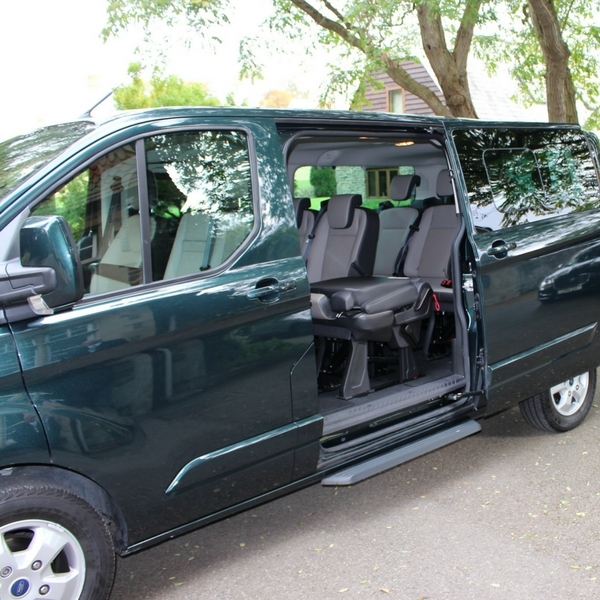 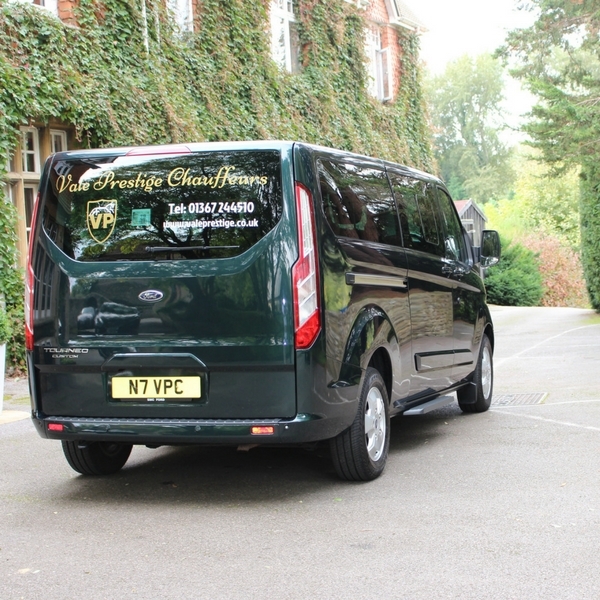 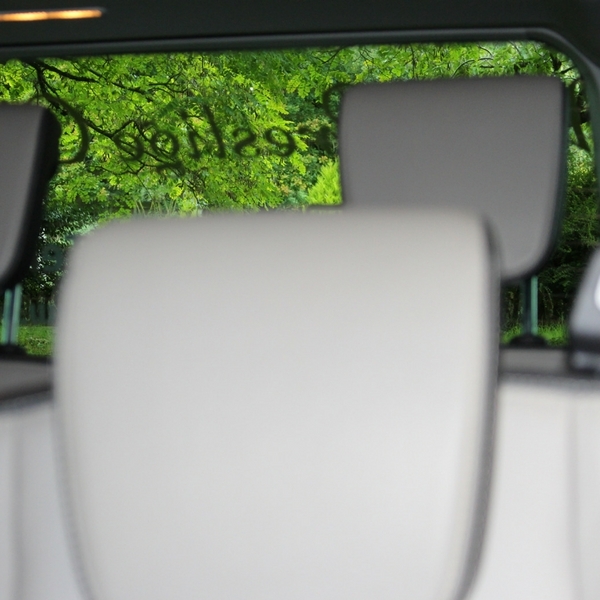 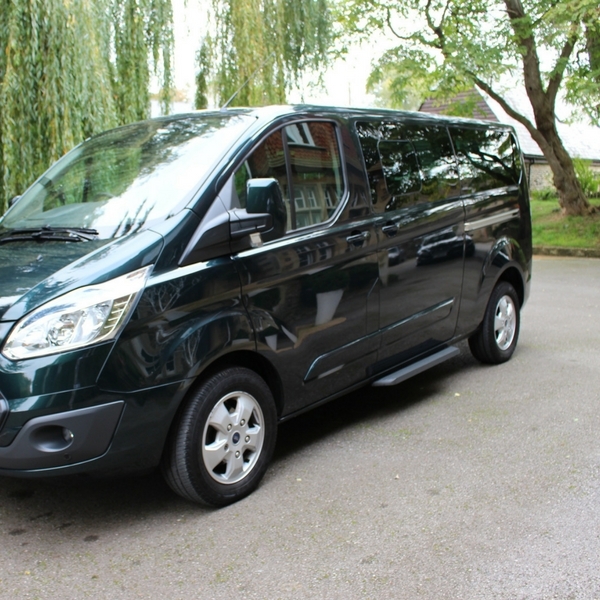 The New Ford Tourneo Custom, long wheel base, people mover is the best MPV in its class. 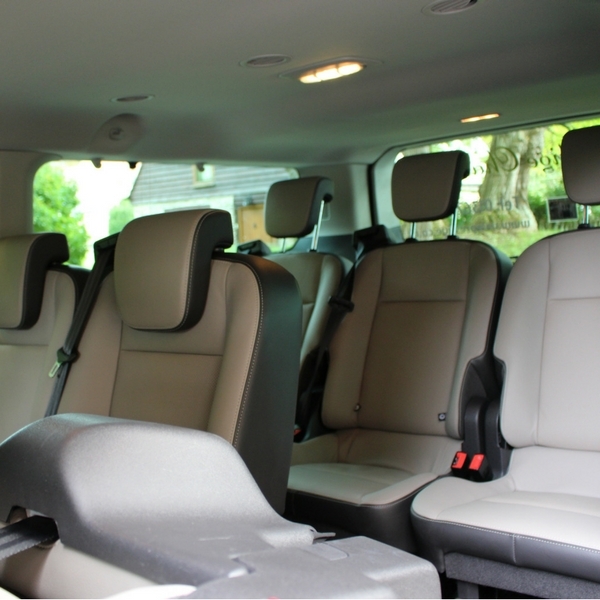 With a maximum 5-Star EURO NCAP rating, this luxury nine-seater is a bit more than just a Transit van with seats in the back. 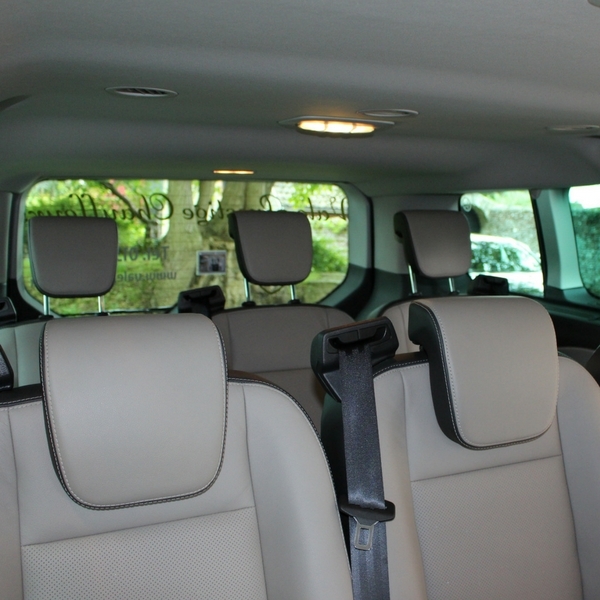 The cabin is fully trimmed like a car with carpeting throughout and high quality comfortable leather seats with over 30 seating permutations to suit any occasion and has integrated rear sunblinds and separate A/C ventilation for those in the back. 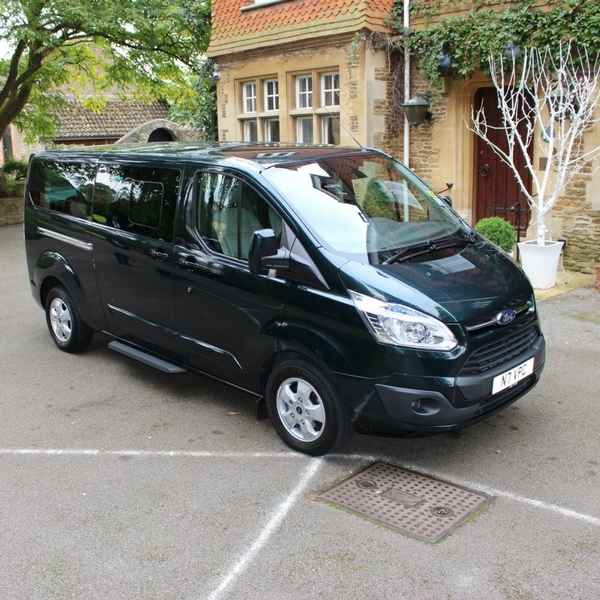 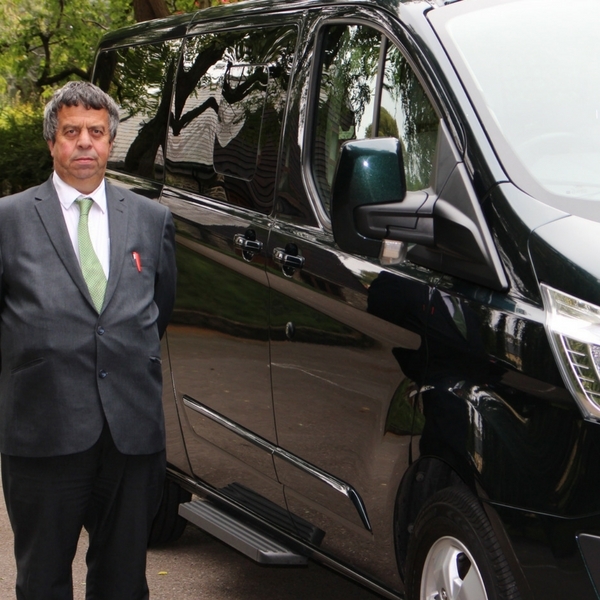 Excellent value for group travel with a whopping 1,447 litres of luggage space.